The classic pocket tanks style game has been around for years now and has been developed on pretty much all platforms. New to BlackBerry App World last week was Battle Tanks which has both a free and premium version available. Not wanting to part with my money I downloaded the free edition and for a simple game it is pretty darn good. If you have not seen similar versions before the gameplay is real easy. You control a tank and you have to shoot missiles at another tank. You can change the position of your tank, alter the power of the missile and change the angle of your gun; all to improve the chances of scoring a direct hit. With different terrains and wind speed coming into the equation hitting your opponent isn't as easy as it sounds. With a wide selection of planets to choose from that you undertake the battle on, it gives the game some nice variety. There are also different levels of difficulty so you can improve your skills as you progress. As you may have seen in the video I like to control my tank using the optical trackpad but you do get the option to use the hardware keyboard on your BlackBerry. And even better is that you can customise the controls to use the keys that suit you best - I do like having choices. 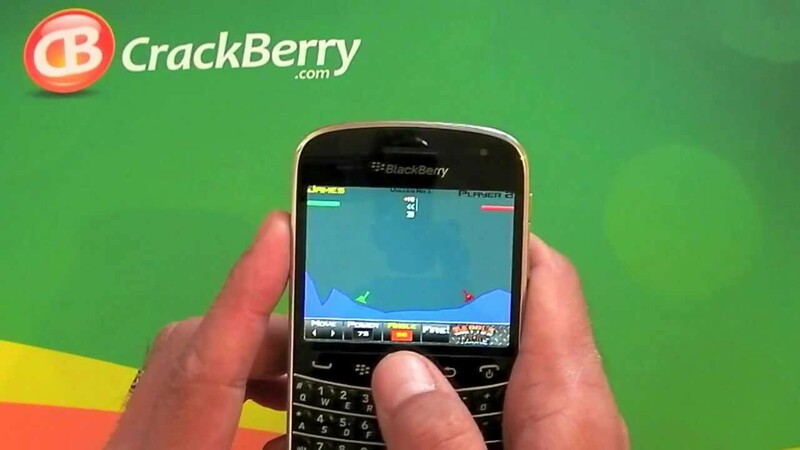 For some reason I couldn't get the sound to work on my BlackBerry Bold 9900 so if you do download the game yourself please let me know in the comments if it is working for you? At the time of me writing this the premium version is also saying it is free as well as a third version for $2.00 - very odd. Battle Tanks is available for all devices running OS 5.0 and above so everyone is a winner.